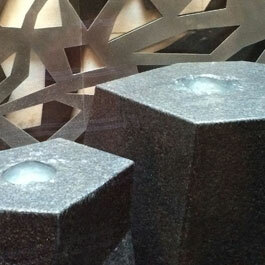 The Hearst Tower Lobby Water Wall is as much an architectural design piece as it is a piece of art. 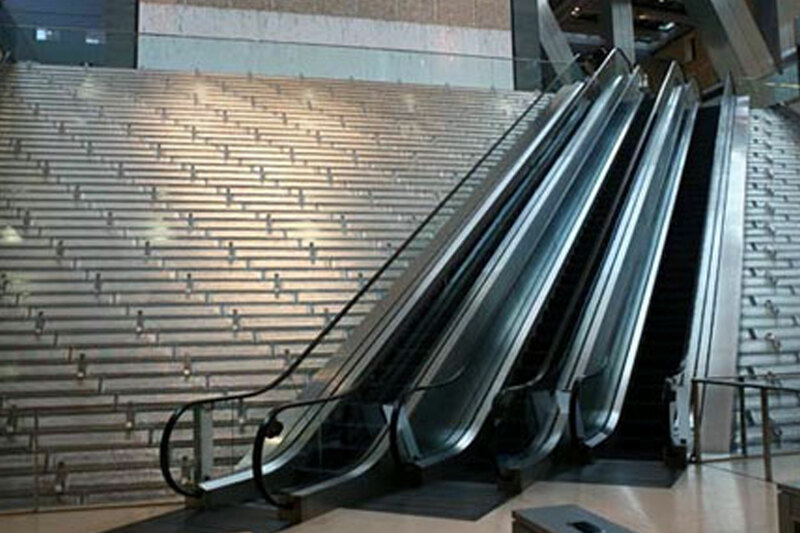 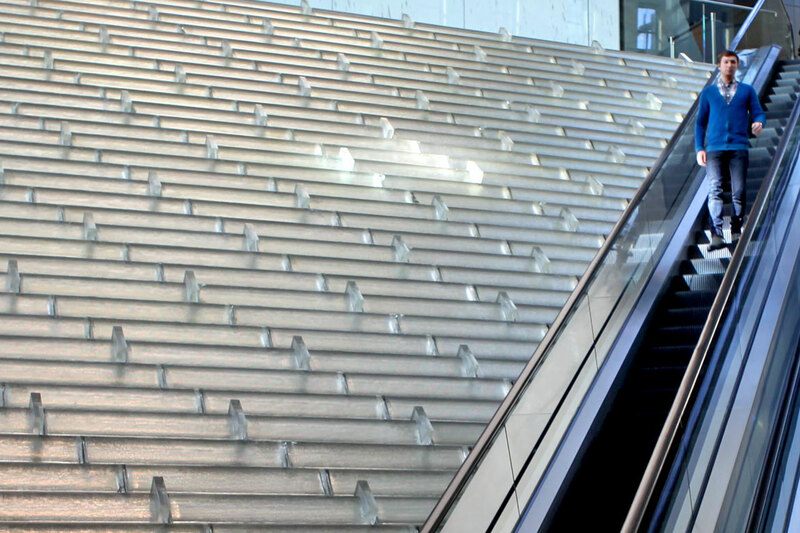 The stair step effect was created by ceramic and glass tiles that reflect the light through the sheer sheet of water that flows over them. 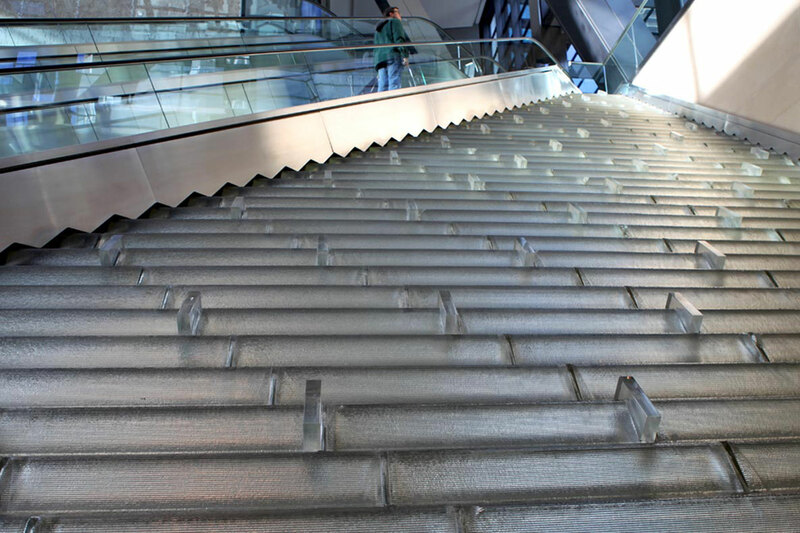 The ceramic and glass stairs in the Hearst Tower lobby are covered with a thin sheet of water that cascades along the feature. 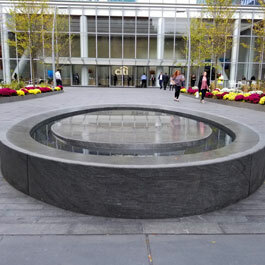 Hearst Tower is located in New York, and the lobby water feature is a landmark aspect of the corporate headquarters. 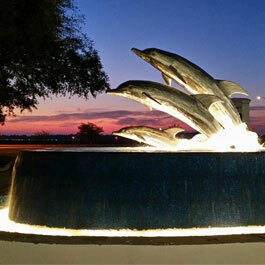 The architectural detail of the water feature was a team effort to achieve. 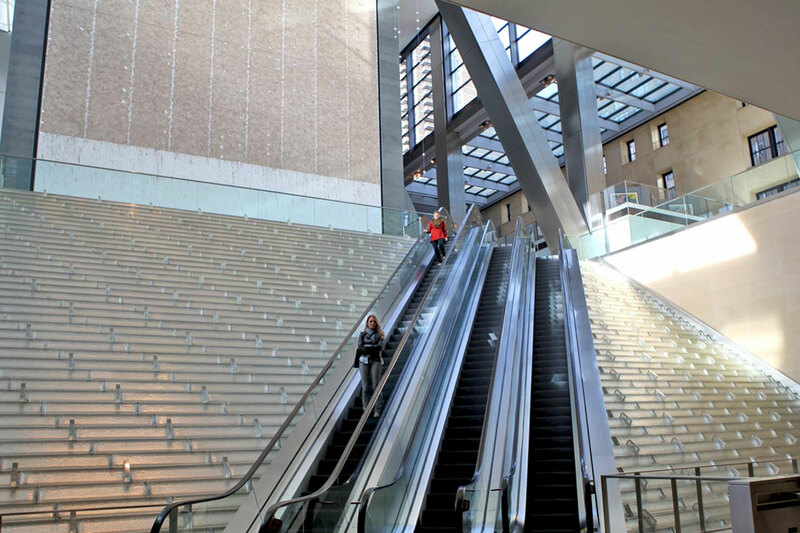 The water feature's offical name is the Hearst Tower Lobby "Ice Falls". 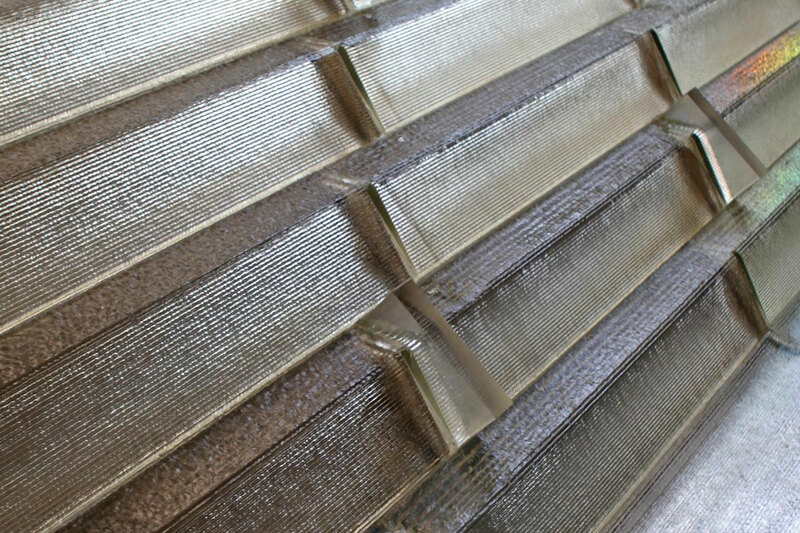 DesignJames Carpenter Design Associates Inc.
Hearst Tower Lobby water wall is a cascading glass water feature that stands roughly 20 feet tall in the lobby of Hearst Corporation’s new global headquarters building, a 46-story glass-and-steel skyscraper in New York City. 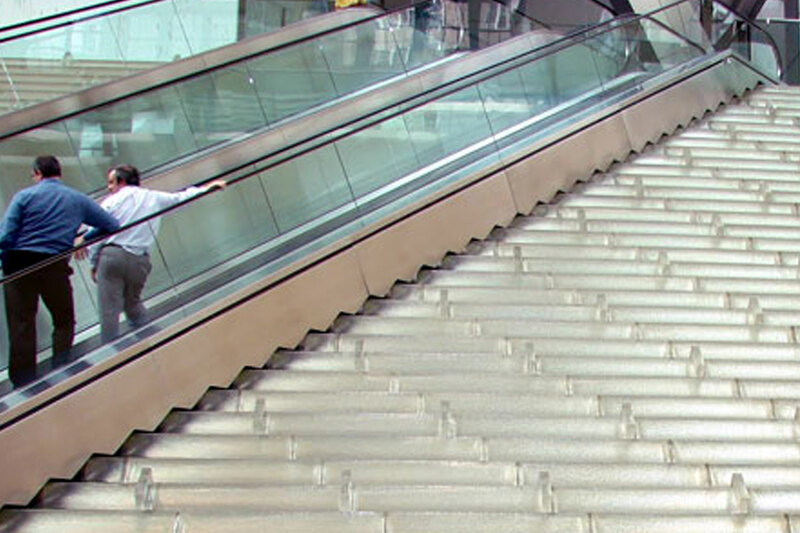 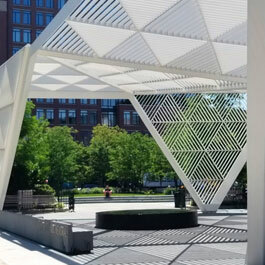 With a construction value at more than eight million dollars, the feature fills the atrium with the sound of cascading water and adds the look of art sculpture even when the water is not running, due to the ceramic and glazed glass tiles that seem to “cascade” from ceiling to floor.